Versatile and ultimate training tool for all musicians! 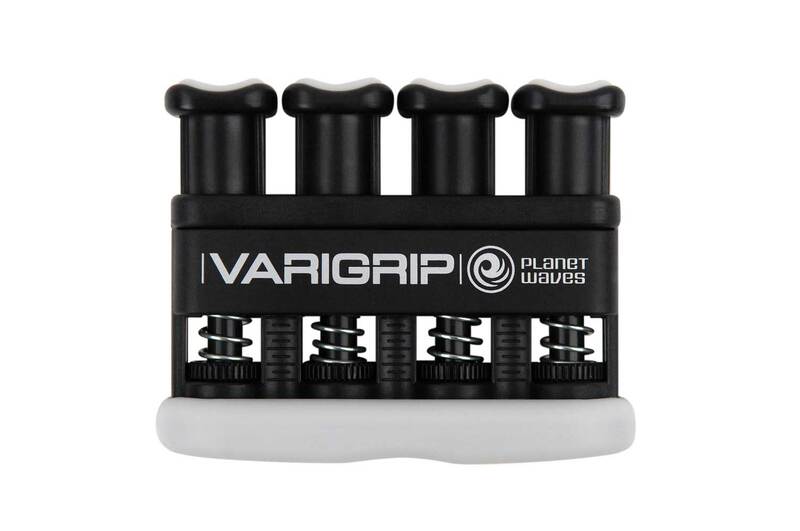 Vari-Grip is the ultimate all-in-one hand, wrist, and forearm fitness tool. The exclusive design features comfortable overmolded finger pads and allows you to adjust individual finger tension - from light to heavy. Safely and conveniently build strength, endurance, flexibility and coordination. Plus there's a built-in callus builder, providing all-in-one hand fitness for musicians. Use in conbination with the Planet Waves Dynaflex Pro Exerciser for the complete finger, hands, and arm workout.